The 2016 North American International Auto Show, otherwise known as the Detroit Auto Show, is officially in the books. The automakers have debuted a slew of new products, both production-ready and concept-only. There were certainly some outlandish stuff on the show floor, but a handful stole the show. We’ve put together a list of our favorite debuts at Detroit. Each is incredibly important to their respective brands – either as a design study or as a revamped model that was much needed. There’s no doubt 2016 will be just as exciting as 2015 as we head towards the decade’s end. Let us know your favorite Detroit debut was in the comment section, or if you think we missed something. Thirty years ago, Chrysler invented the minivan market. Now that same innovation comes with a clean-slate design that replaces the old Town & Country with a better-looking, more high-tech and family friendly vehicle called the Pacifica. The new van boasts an updated powertrain in the standard version and a plug-in electric version with the hybrid model. 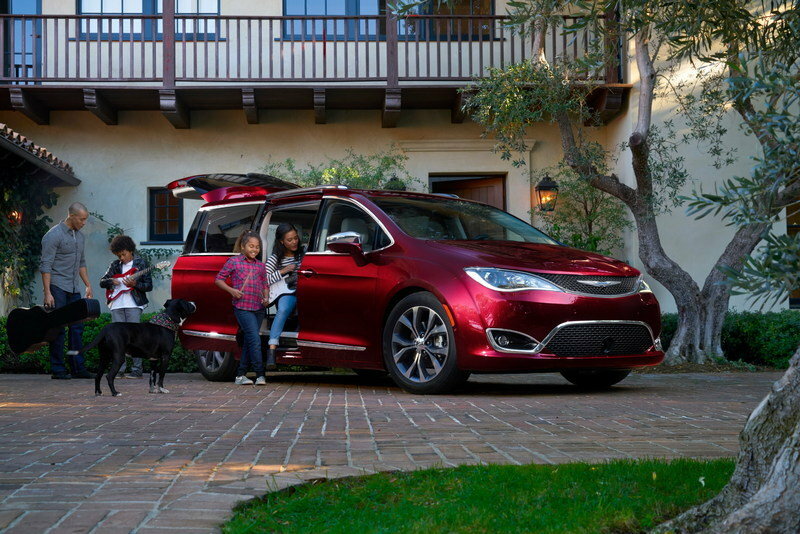 This marks the first time a minivan will offer a hybrid system, helping grow the number of hybrid vehicles and expanding the choices for growing families. Those not wanting a hybrid will enjoy an upgraded 3.6-liter V-6 with 287 horsepower mated to FCA’s nine-speed automatic. Prices are likely to incrementally increase over the outgoing T&C, but expect the Pacifica to remain well within reach of middle class families. All other minivans have been put on notice. Read our full review on Chrysler Pacifica here. GMC’s newest crossover replaces its well-aged predecessor after a decade on the market. The new Acadia rides on the C1 platform shared with the new Cadillac XT5 and provides seating for five, six, or seven passengers, depending on second and optional third row configurations. The Acadia’s new platform is lighter and smaller than the outgoing Lambda-based Acadia, helping it lose some 700 pounds while updates to the 3.6-liter V-6 help it produces 310 horsepower. What’s more, the Acadia will come standard with a naturally aspirated 2.5-liter four-cylinder that’s slated to get 28 mpg highway. A six-speed automatic transmission comes with both engines. The GMC also takes a massive stride with interior and exterior refinement. Gone are the truck-like shapes in favor of a more sculpted body and high-end interior. GM’s current iteration of infotainment system and digital gauge cluster is present as well. There’s no word on whether the Chevrolet Traverse or Buick Enclave, the previous-gen Acaida’s platform mates, will undergo similar changes. 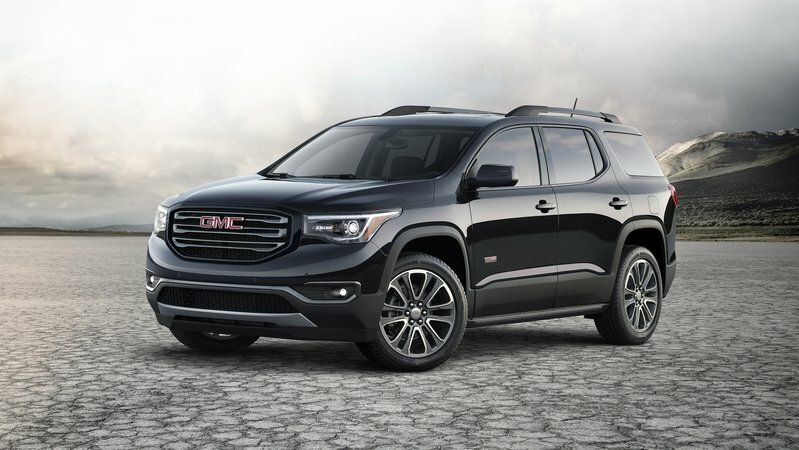 Read our full review on GMC Acadia here. 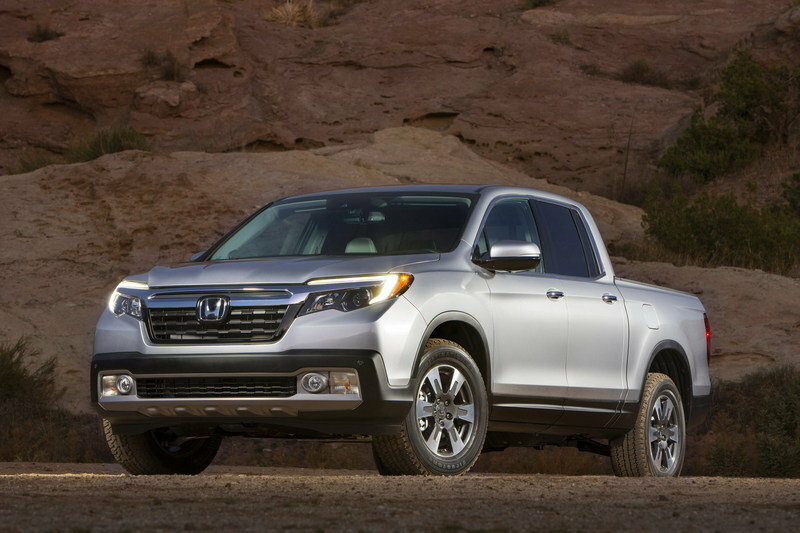 The long-awaited second-generation Ridgeline finally bowed, ending the two-year drought over the Ridgeline name since Honda killed production in 2014. The new truck rides on a new platform that’s shared with the Pilot crossover. The unibody truck features a very usable composite cargo bed with an updated version of the in-bed trunk. It’s large enough for an average male to squeeze into and also features a flat bottom and drain plug. The Ridgeline’s dual-action tailgate makes the generational jump, as well. An in-bed audio system makes the Ridgeline a perfect tailgating vehicle. Inside, the cabin is nearly identical to the Pilot. The same is true for the drivetrain: the 3.5-liter i-VTEC V-6 making 280 horsepower and 262 pound-feet of torque, all connected to a six-speed automatic transmission powering the front tires. An AWD version is also available. On paper the Ridgeline might seen uncompetitive with others in the mid-size segment, but we think it’s more than enough truck for most buyers. Read our full review on Honda Ridgeline here. The Avista was probably the biggest surprise at this year’s show – a homerun from the underdog in the bottom of the ninth. Built on the same Alpha platform as the sixth-gen Camaro and Cadillac ATS, the Avista is an honest 2+2 coupe with rear-wheel drive. 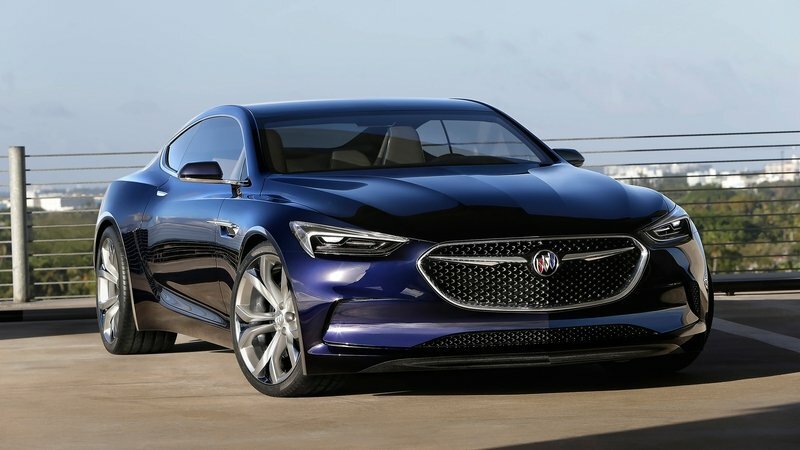 Seductive lines and a futuristic interior don’t look too far-fetched from being production ready, suggesting Buick might be finally getting the same attention from GM as Cadillac five years ago. Power comes from a twin-turbocharged, 3.0-liter V-6 that kicks out 400 horsepower, while GM’s eight-speed automatic sends power rearward. Despite its high-performance character, the powertrain features Active Fuel Management and a Start/Stop system for decent economy figures. Magnetic Ride Control will help the coupe keep its composure over nearly any road surface. It’ll be interesting to see where Buick takes this design and if something similar makes production. Read our full review on Buick Avista here. Lexus is shooting for the stars on this one. This high-end, 2+2 coupe comes with a futuristic design and swanky interior that carry the feel of a concept car, however, the LC 500 is heading to production for the 2017 model year! This flagship coupe will likely carry a hefty price tag, but deliver exhilarating performance on the track and comfortable driving around town. Power comes from the same 5.0-liter V-8 found in the RC F coupe and GS F sedan. The naturally aspirated engine kicks out 467 horsepower and 389 pound-feet of torque. 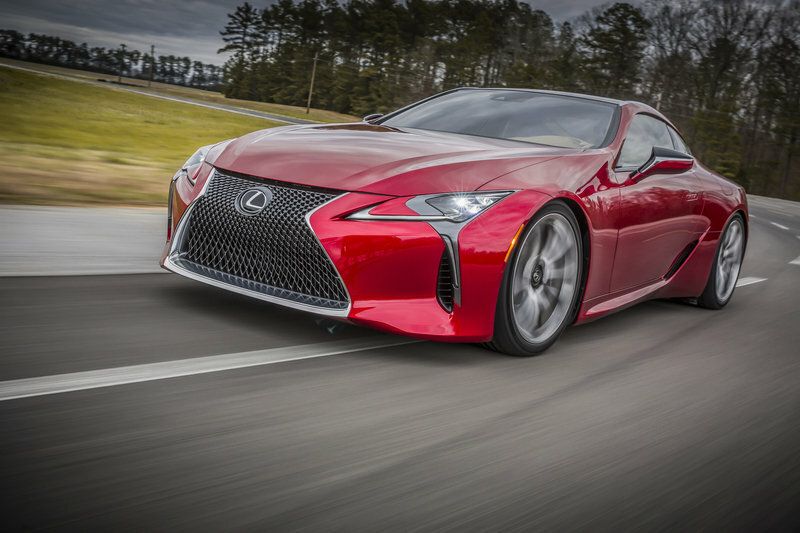 Those figures might not make headlines, but the LC 500 is expected to be fairly lightweight. An all-new 10-speed automatic transmission sends power to the rear wheels. Lexus hasn’t confirmed anything, but we can expect to see a “F” version of the LC, with added power and more track dedicated tires and suspension tuning. Read our full review on Lexus LC 500 here. Poor Lincoln has been nearly neglected by Ford over the last several decades – always getting the leftover platforms with minor badge-engineering changes. While the Continental technically shares its modular platform with a Ford product, the high-end sedan could be exactly what Lincoln needs to revive its legacy. A tidy, reserved, yet stylish exterior is complemented by a rather welcoming interior. High-end materials and stately designs are present in all four seating positions. In a crunch, three can sit in back. Heavily bolstered front seats look like Recaros covered in down pillows. A large panoramic sunroom helps brighten up the cabin. A Lincoln-exclusive 3.0-liter, twin-turbocharged V-6 produces an estimated 400 horsepower and pound-feet of torque, sent to all four wheels. Best of all, the Continental is headed to production. Better yet, it carries an actual name rather than some generic and utterly forgettable alphanumeric gibberish. Thank you Lincoln for reviving such a storied nameplate. Read our full review on Lincoln Continental here. 2016 is bringing huge changes for Hyundai. After years of deliberation, the automaker is finally creating its own luxury brand for its higher-end vehicles. 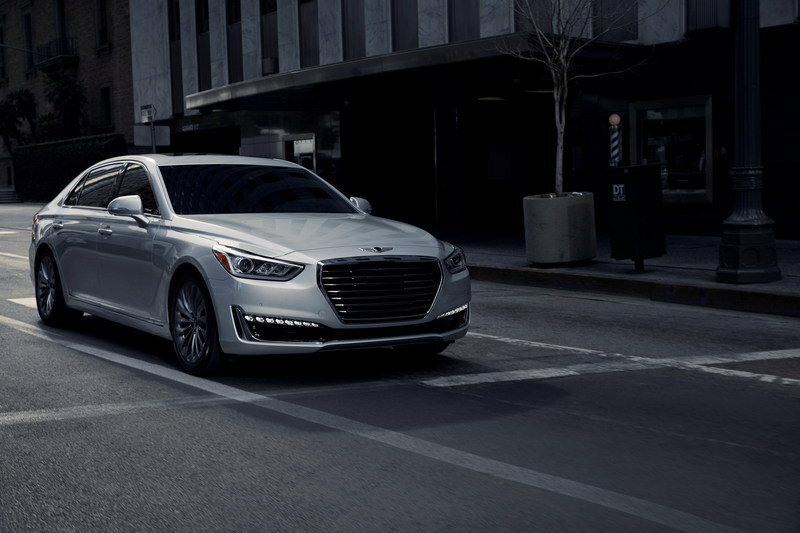 Called Genesis, the derivative marquee will host its own line, including a renamed version of the Hyundai Genesis sedan called the G80 and this, the successor to the slow-selling Equus sedan called the G90. This flagship executive sedan will lead the new brand into the 2017 model year with all-new looks inside and out. The G90’s interior wouldn’t look out of place in a Mercedes E-Class or BMW 7 Series. It features high-end materials, wood accents, a massive 12.3-inch infotainment screen and digital gauge cluster, electronic shifter, and mood lighting. Rear seat passengers enjoy power-operated seats with fingertip controls operating everything from the HVAC system, heated and cooled seats, and radio to the dual, 9.2-inch monitors. The G90 makes use of a pair of engines – a 365-horsepower, twin-turbo 3.3-liter V-6 and a 420-horsepower, 5.0-liter V-8. Rear-wheel drive comes standard and AWD is optional with either engine. Prices are expected to start around $62,000 and grow with options. That seems like a very fair price for a sedan that rivals the more expensive Germans. We’re glad to see Hyundai finally make the Genesis its own brand – something that will surely help attract customers. Read our full on the Genesis G90 here. Some say Mercedes let its E-Class get too stale in recent years, falling behind the growing competition. Well, Mercedes answered the call with something of a baby S-Class. The executive sedan is longer than before, with a longer wheelbase to boot. This gains more room for passengers within the very well appointed interior. Ultra high-end finishes grace the cabin, including real aluminum. Leather and wood accents grace everything else. A massive 12.3-inch infotainment screen sits center stage on the dash, while an optional 12.3-inch digital gauge cluster comes on higher-end trim levels. The E-Class will undoubtedly be available with a variety of engines, including those from AMG, but a turbocharged 2.0-liter four-cylinder will be the only option at first. It sends 241 horsepower and 273 pound-feet of torque to the rear wheels through a nine-speed automatic. 4MATIC AWD is optional. The new updates will surely help Mercedes compete against the other stalwarts of the segment, including the BMW 5 Series, Audi A6, and Cadillac CTS. 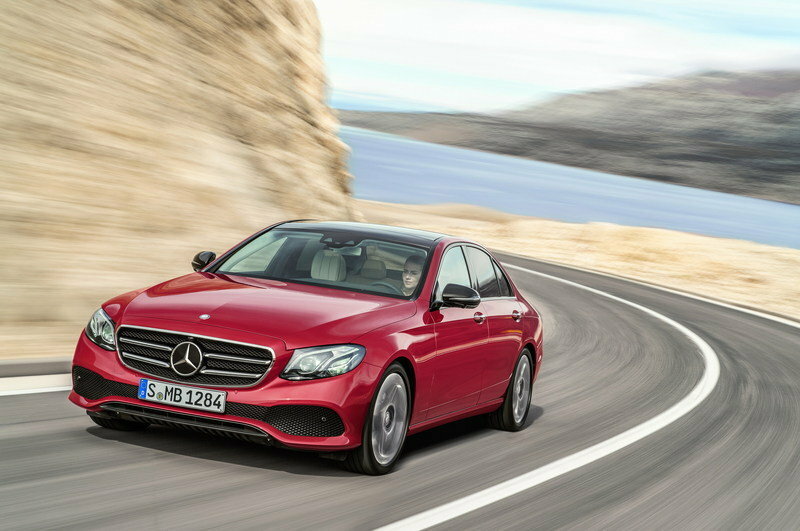 Read our full review on the Mercedes E-Class here. Nissan have been rather quiet on its truck front since it introduced the original Titan in 2004. Thankfully, that all changed with its all-new 2016 Titan XD pickup. Even better, it seems Nissan isn’t letting the momentum slow, debuting the Titan Warrior Concept in Detroit. It might not be headed into production, but the Warrior Concept shows that Nissan is investing more into its truck program and will likely fill its showrooms with multiple models. We already know the standard-duty, non-XD version of the Titan should debut before the 2017 model year. The Warrior Concept shows what Nissan engineering envisions a dedicated off-road truck could look like. High-performance off-road shocks and unique control arms smooth out rough terrain while custom wheels are wrapped in Pro Comp mud tires. A completely restyled body enjoys new panels at each corner, while a bespoke interior features “magma” colored accents and a one-off center console. The Warrior Concept uses the same 5.0-liter Cummins turbodiesel and six-speed automatic powertrain as in the production Titan XD, meaning it enjoys 310 horsepower and 555 pound-feet of torque. 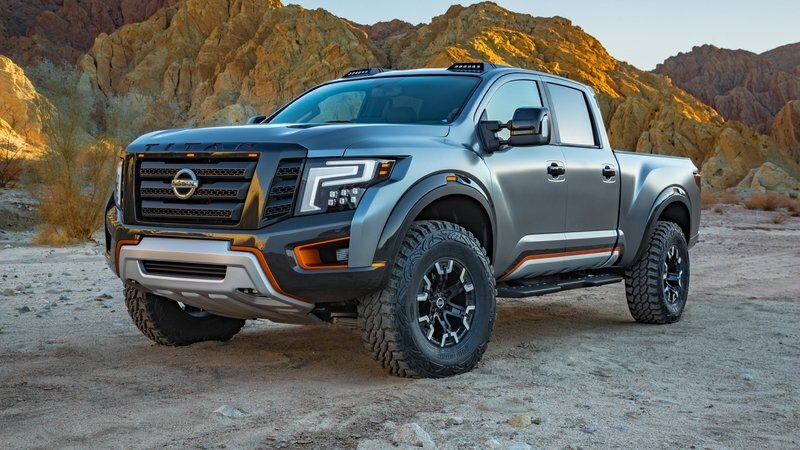 Read our review on the Nissan Titan Warrior Concept here. Some would say Acura has been slacking on its design styling over the last several years. 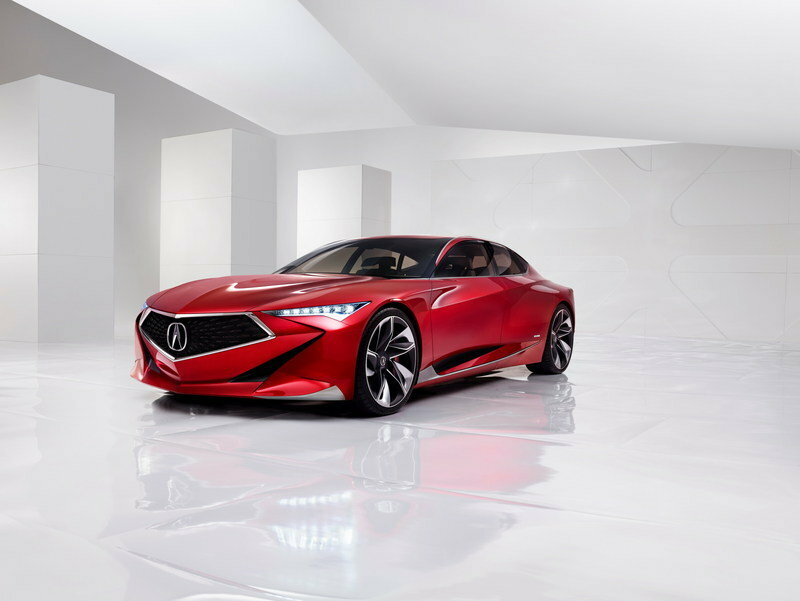 To answer the nay-sayers, Acura debuted the Precision Concept – a design study that could foretell the future for Acura’s corporate design. Gone is the generally disliked beaked grille, replaced with a more handsome front end. Highly stylized lines run rearward from the front, creating emotional shapes under the side windows that flow to the rear. The four-door sedan has a coupe-like roof and a short rear deck, giving it a very sporty appearance. The interior looks very much like a concept – not having many recognizable buttons or controls. The steering wheel features an F1-style square design, while the center infotainment screen resides far up on the dashboard. Unfortunately, Acura is quiet on the drivetrain, reaffirming this concept is merely a design study. Still, the importance of its design can’t be understated. Acura could certainly use some fun, emotion, and character within its production lineup. Hopefully this design study will lead the way. Read our full review on the Acura Precision concept here. What do you think? Did we miss any of your favorite vehicles from the 2016 Detroit Auto Show? Let us know in the comments.